Affetside originally had two wayside crosses, marking the medieval route of Watling Street. The route itself is even older, and is based on the Roman road that links the Manchester and Ribchester Roman forts. English Heritage gives details of a 1542 sketch map in the records of the chancery court of the Duchy of Lancashire, which shows two crosses along the road. The most northerly of these two crosses is the place where we see the current cross shaft. Its companion was further south and on the opposite side of the road. The sketch map also shows a standing stone to the southwest of the southerly cross, on Bowstone Hill. A field called Crych Ferthlong and a brook called Crych Broke are both named after this second cross. 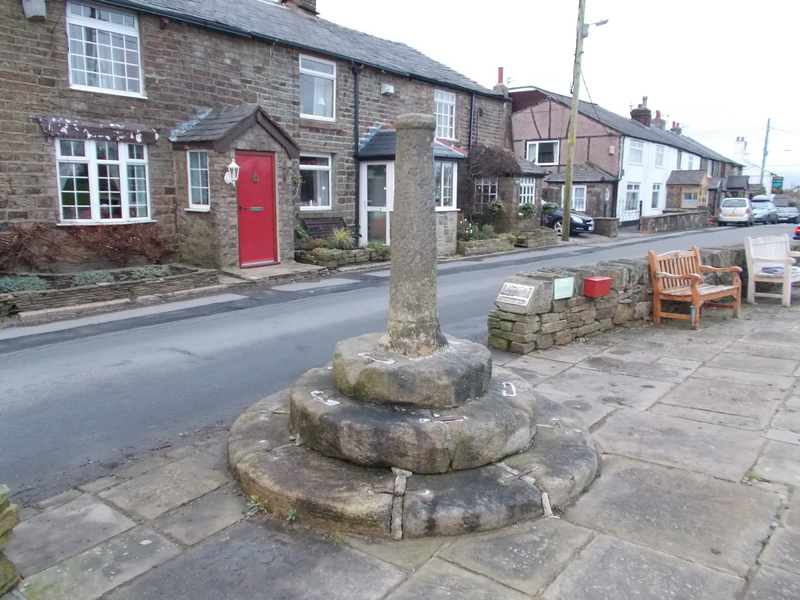 The cross shaft stands by the side of the road today, with a small memorial garden next to it . 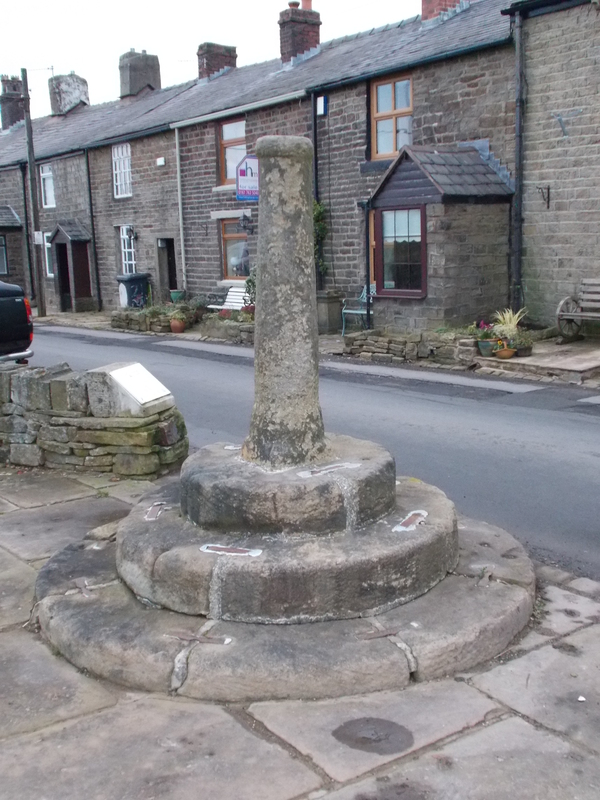 The column itself is made of a rough piece of gritstone. It has a squarish base, that rises as a circular column, tapering slightly as it goes up. The top part consists of a flatish circular collar that has a socket cut into it. The socket originally would have had a cross head inserted into it, or possibly a stone ball. Dating the cross has been problematic. In the early 1900s black and white souvenir postcards stated it was a Roman cross. More recently, the metal plaque next to the cross shaft asserts that it is a rare surviving example of an actual medieval cross. Current thinking is that it is neither of these. English Heritage states that it is actually early Georgian (17th to 18th century), replacing a medieval cross that would had stood there before. The circular steps were added later in 1890 when the present cross was renovated and re-erected. Park by the side of the road, a little way down from the cross in one of the roadside scrapes.